Handmade in the UK and new for 2017 is Scorpion's RP1-GP Z900 exhaust (£549). What’s good? Scorpion’s RP1 exhaust is EC-approved, and tidies up and lightens up Kawasaki’s excellent new naked no end. As Scorpion’s flagship pipe it comes with a choice of Titanium or carbon construction and a laser-cut titanium link-pipe. For more visit MCN's new gear. What’s not? 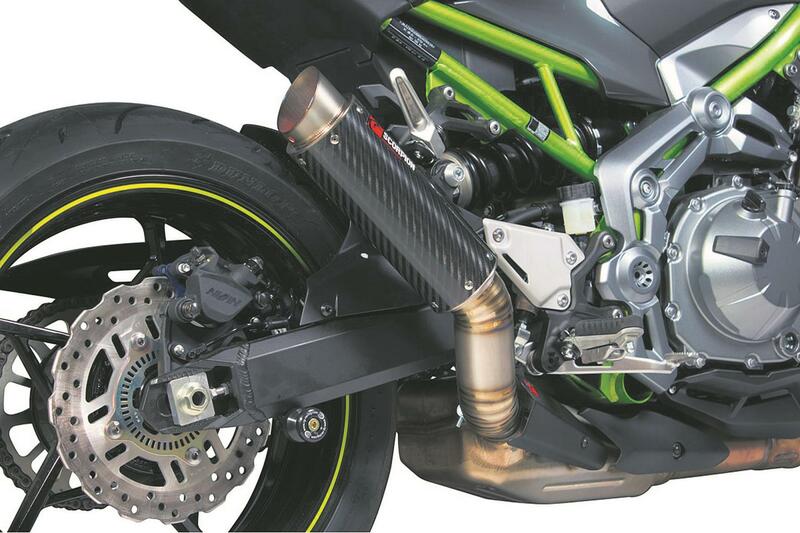 Don’t expect massive power or noise increases from this new Scorpion system, as a lot of the silencing and emissions gubbins on the bike is south of the can and link-pipe. Rossi bike collection goes up for sale!